In doing some research this week I came across a quote by Dr. Mary Berry, musicologist and chant scholar who taught our community so much about Gregorian chant. I found it extremely inspirational and informative—once again a reminder that it is the text, mainly Scripture, that is the motivator in this form of prayer, and how much we have to gain by participating in it. Last week, we had a funeral for one of our earliest religious Sisters. At the burial site, someone mentioned her love for the desert. That struck a chord with me, because I have had a love for the desert ever since I traveled one day over the desert from Amman, Jordan to Cairo, Egypt, and then another time from the North to the South of Israel. 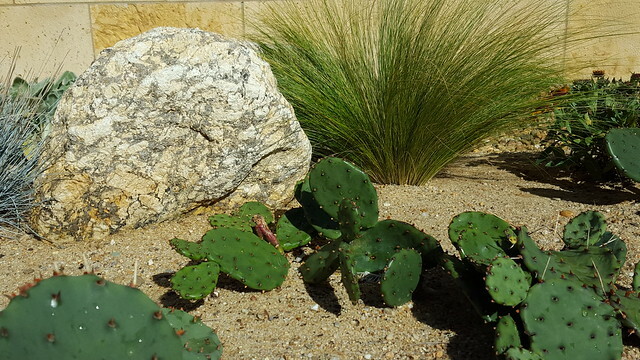 I felt the power of the desert, the force of shifting sands, the strength to survive that only God can give, I also saw the beauty in the desert, often in small and hidden plants dependent on God for their blooming. I was reminded of several scriptures from Isaiah: the wilderness and the dry land shall be glad, the desert shall rejoice and blossom. . . . they shall see the glory of the Lord, the majesty of our God. . . I am about to do a new thing; now it springs forth, do you not perceive it? This week a word came to mind, a word I’d never spoken. Unfortunately, I kept forgetting what it was. Hours passed, then it would reappear, only to disappear before I could write it down. I did, however, know it was similar to “restoration”. So hoping to spark the proper synapse, I tossed that word around for awhile. In the end, I consulted a list of synonyms and there it was: reclamation. Because of its unfamiliarity (and persistence), I carefully considered its significance. Reclamation is the conversion of wasteland into ground suitable for cultivation. Generally, the return to a former, better state, where more is received than has been lost, and the final product greater than the original. 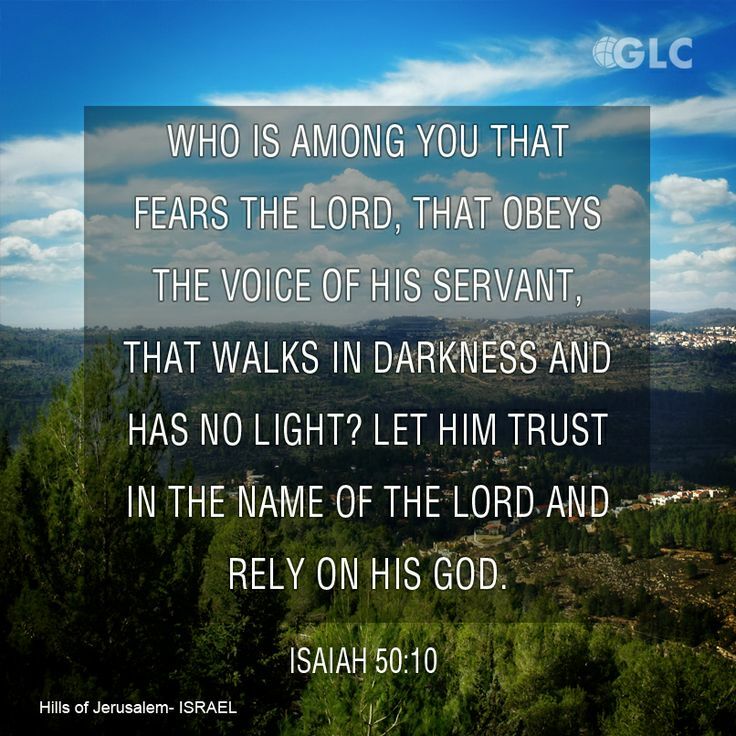 Who among you fears the Lord and obeys the word of His servant? Let the one who walks in the dark, who has no light, trust in the name of the Lord. This morning I woke up anxious, not quite sure of my way. Then words from an eighteenth century hymn writer, Joseph Hart, cut a path through my musings. He wrote, “Come, ye sinners, poor and needy, weak and wounded, sick and sore; Jesus ready stands to save you, full of pity, love and power.“ The hymn goes on to call the thirsty, weary, and heavy laden, and ends, “All the fitness he requireth is to feel your need of Him.“ Essentially, it’s a parallel message to the one from Isaiah, both coming within a single week! For those of us who sometimes wander (and wonder), it’s a recommendation well-worth considering. If you’re like me (and others I know), there are certain things you rely on. Morning coffee is on my list. A day or two ago, I poured a cup, added dry creamer, sipped, then went to answer the phone. I returned to discover a fly had invaded sacred space. I won’t divulge HOW I discovered this. Let’s just say it was unpleasant. I was on the cusp — with one foot over — of letting this experience define my day. Another source of unrest is a lost “necessity.” And it can be anything. For one sister it was a missing mechanical pencil, her favorite pencil, the one she couldn’t be without. When a thorough search failed, she became anxious, and believed the pencil would never be found. These are simple situations, but I’ve found that feelings are much less reasonable than reality. In Matthew 6:25, Jesus tells us not to worry about what we’ll eat, wear, etc., not if we’ll eat, which is a much larger problem. He knows the danger of our obsessing over little things, losing our focus, and sometimes our way. The sister I mentioned decided to “let the pencil go” and not let it distort her perspective. The result? She found it the very next day and has vowed to put her name on it. Just in case. This past Sunday we celebrated the feast of the Transfiguration here at the Community of Jesus. Because our church is named after this feast, we always celebrate the feast on the Sunday closest to the traditional feast date of August 6th. When I’m scared, that’s the last thing I think of. Usually I want to protect, run the other way, or fight. Many fears come up every day, in relationships, over unexpected events, through anxiety, or perhaps real physical dangers. I mostly want to avoid the things I’m afraid of, rather then proclaim that it may be good that I’m here. I don’t usually remember that perhaps this point of fear is good for me today. For if God brought this fearful point into my life today, instead of running, perhaps I can conquer this fear. Perhaps I, like Peter, can take just a step or two walking across new water. If I don’t listen, and if I don’t look, the alternative might be to miss out on some of the “brief glorious moments” that God most certainly designs uniquely for us. L’Engle moves on to write: “The impossible still happens to us, often during the work, sometimes when we are so tired that inadvertently we let down all the barriers we have built up. We lose our adult skepticism and become once again children who can walk down their grandmother’s winding stairs without touching.” If we listen and if we hear…..we can be transfigured in ways we can’t even imagine or understand. While weeding our vegetable garden at the Community of Jesus, I was amazed — well, maybe dismayed — at the tenacious strength of those wily weeds. Clearing a path was hard work, but it got me thinking about “roots” and multiple ways we use the word. As a noun, roots attach a plant to the ground and convey water and nourishment. They’re a source of life, established deeply and firmly. A second definition for root is “a semantic unit,” the part of a word after all prefixes and suffixes are removed. It’s also a verb: to root for a team or an individual is to lend support and encourage enthusiastically. Perhaps it’s a Pennsylvania phenomenon — or a well-taught civics class — but when I meet someone from my home state, I connect. “You’re from Pennsylvania? Which part? Pittsburgh? No kidding.” And then we’re apt to converse in a language resembling English, but native to Western Pennsylvanians, words such as chipped chopped ham, city chicken and “redd up” a room. These are my roots by birth and they bring life through remembrance, forming part of who I am. We also put down spiritual roots, and there are several Biblical verses that employ the metaphor. In Ephesians 3:17, the Apostle Paul speaks of being rooted and grounded in Christ, “that Christ may dwell in your hearts through faith, as you are being rooted and grounded in love.” Just imagine! Jesus is that love, our source of life, and stands with us when all pretenses are removed. This seemed like a summary of the beautiful Vespers hymns we’ve been looking at these past weeks with themes of the various days of creation! The Friday hymn is the last in the set, with text mostly likely attributed to Saint Gregory the Great. Here is as description of true Paradise on earth. Drive away from your servants, whatsoever, by uncleanness, either suggests itself by customs, or insinuates itself by actions. Give the rewards of joys, grant the gifts of graces; dissolve the chains of quarrelling, bind fast the agreements of peace. Grant this, O most loving Father, and you, the only One equal to the Father, with the Spirit, the Paraclete, who reigns through every age. Amen. If I were to have a conversation with the Apostle Paul, I’d like to pose this question, “How did you learn to be content in all circumstances?” My admiration comes, of course, from reading Philippians 4:12, in which Paul proclaims, “I know what it is to be in need, and I know what it is to have plenty. I have learned the secret of being content in any and every situation, whether well fed or hungry, whether living in plenty or in want.” I suspect it wasn’t a “firefly” of faith landing on Paul’s shoulder that produced such serene confidence. A quick overview of his life proves that not to be the case. His personal journey was punctuated by suffering, both of his own making, and forced on him by others. He was a persecutor of the church and present at the stoning of Stephen, struck blind and converted on the road to Damascus, imprisoned, shipwrecked, and eventually martyred. Since I can’t ask my question directly, let’s speculate. Perhaps this passage is about joy, abiding joy, deeply rooted in reality and knowledge of the love of God. Tuesday’s Vespers hymn at the Community of Jesus reminds us of the third day of Creation, where God said, “Let the waters under the heavens be gathered together into one place, and let the dry land appear.” “Let the earth put forth vegetation, plants yielding seed, and fruit trees bearing fruit in which is their seed, each according to its kind, upon the earth.” (Gen. 1:9, 11). Clothed in poetic imagery, this hymn reminds us that all the beauty that surrounds us came from the hand of God, and was always His intent to bless us. The texts to these hymns can easily be used as prayers of gratitude and repentance! That, bringing forth suitable bud, beautiful things in golden-colored flowers, it might present rich things as fruit, and render pleasant food. Cleanse the wounds of a scorched soul with the freshness of grace, that it may wash away its deeds with tears, and destroy wrong impulses. Let it comply with your commands; may it approach no evil; let it rejoice to be filled with good things, and never know the work of death.